Peacefully, with family by his side at Grey Bruce Health Services, Meaford, on Saturday, March 30, 2019 in his 95th year. John will be remembered as a kind and loving father, grandfather and great grandfather. Friends will be received at the T.A. 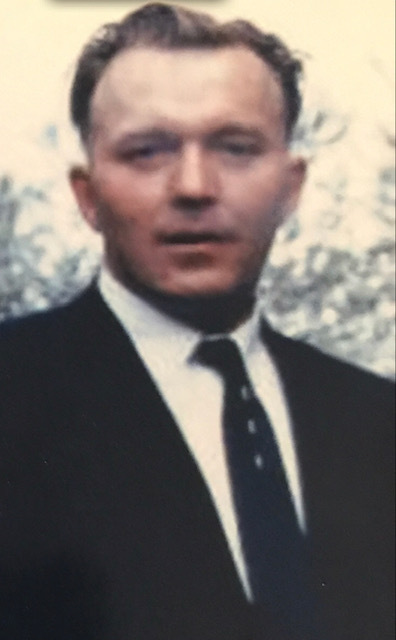 Brown Funeral Home, 510 Mill Street, Port Elgin, 519-832-2222 on Thursday, April 4, 2019 from 12:00pm until the time of the funeral service at 1:00pm. Spring interment Sanctuary Park Cemetery. Memorial donations to the Parkinson Society or the Southampton Care Centre Resident’s Council would be appreciated by the family.